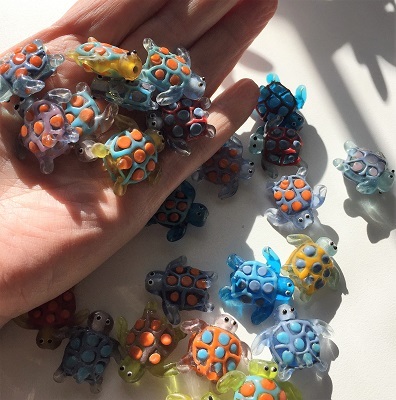 Beautiful colorful vintage Lucite Turtle beads. Myths and legends relate to the turtle’s ancient presence on earth and the meaning and shape of its shell. Turtle Totem is the oldest symbol for the Earth representing the personification of goddess energy and the eternal, life-giving mother planet. A turtle totem reminds one to be mindful of the cycle of life. Be patient and kind. Use water and earth resources conservatively and in return be a custodian for the environment to create harmonious flow. Turtle teaches us to be adaptable and holds the mystery of awakening the senses. If a Turtle Totem shows up in your life, it is a sign to slow down the pace of your life and be present. Turtle teaches the art of grounding - once you learn to ground yourself to Earth's power and strength, you can place focus on your thoughts and actions and tap into the Earth's limitless energies. 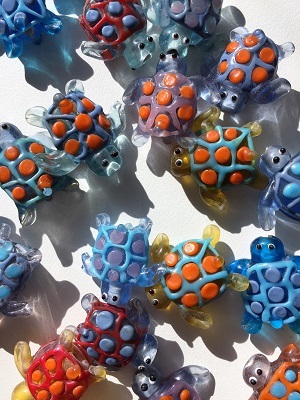 Turtle totem represents creativity and abundance – use what you have and start where you are! Turtle totem reminds us of the opportunities that feed us along our path. 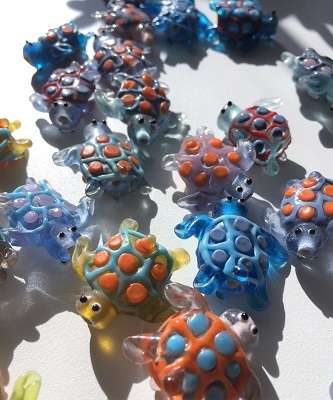 Turtle totem supports the senses with greater vision, heightened hearing, improved sense of smell, and assisting in the skills of clairaudience and clairvoyance.